Everyday, J88poker hosts Flash tournaments with buy-ins of wide range from ₵20 to ₵500. Here’s the way to enjoy Flash tournaments! 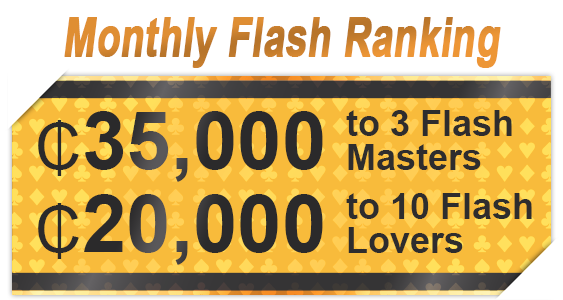 ※Master Rank points = Total Flash Tournament earnings within the event period. 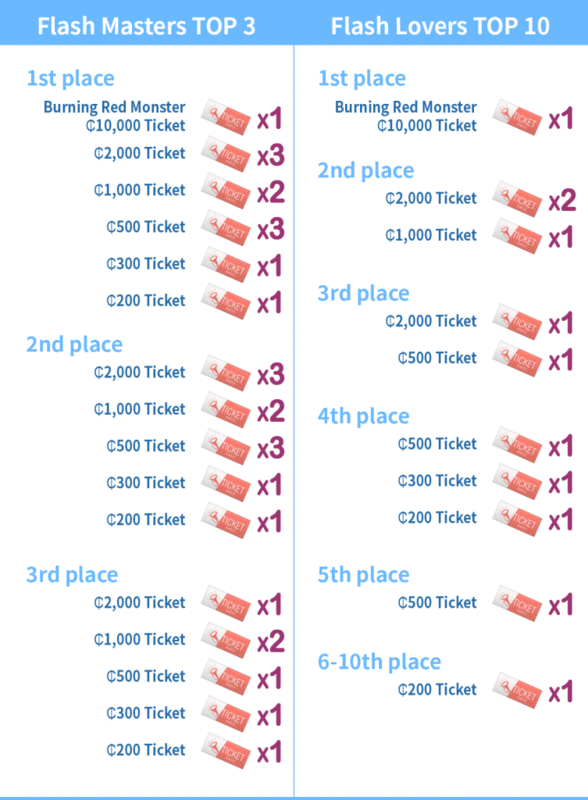 ※Lover Rank points = Number of Flash Tournament participation of Flash within the event period. *If one player come under both categories, only the Masters Ranking’s prize package will be given. The untaken Lovers Ranking’s prize will be given to the next player in line instead.